As the world celebrated Mother's Day on Sunday, Bollywood celebrities too chimed in with sweet tweets for mothers. 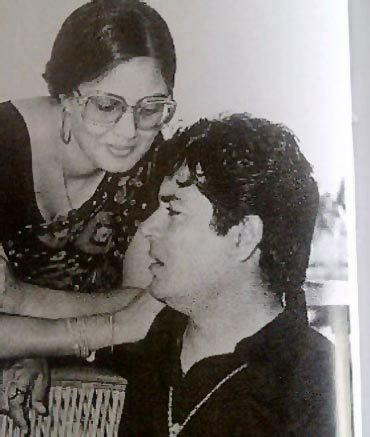 Arbaaz Khan, remembered his mother Salma Khan and tweeted a picture of his parents. 'Happy mothers day ! Love you mama very much ♥' he updated. Neha Dhupia posted a picture of her with her mom. 'Mama I love you... Today, tomorrow... Forever n always! Happy mothers day to all u beautiful moms out there!' she wrote. Hansika Motwani also showed gratitude by posting her mother's picture. 'Happy mothers day ♥ I m a very lucky child . I m who I'm becz of her . ♥' she wrote. Mallika Sherawat, whose last name comes from her mother's name wished all moms. 'Happy Mothers Day to all mums around the world, to my own saintly one:) to Divine Mother & blessed Mother India!' she wrote. Meanwhile, Bipasha Basu tweeted her wishes and posted a picture from Russia. 'My Mother!Superwoman!Paying respect 2 d most selfless person in r lives,Mothers!Evrydy nt jst 2day! she wrote. Players is the official remake of The Italian Job! 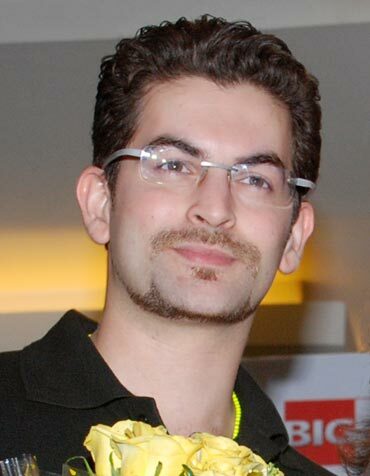 Neil Nitin Mukesh officially declared his upcoming Abbas-Mustan's film Players as a remake of the Italian Job. However, he was reluctant to reveal his character. 'Guys " players " is the official remake of the "italian job". And I'm sorry I can't tell u what character I play.WE are all PLAYERS ! ;) ;)' he tweeted. Shirish Kunder, on the other hand, denied all the rumours about his next film KICK being delayed. 'For those asking, KICK is not delayed. It'll start as soon as I finish JOKER,' he updated. Noted filmmaker Aparna Sen was jubilant about her recent accomplishment as she tweeted 'Aparna Sen wins Best Director and Konkona Sensharma Best Female Actor for Iti Mrinalini - at the 11th Annual NYIFF 2011, last night! Yay!' she tweeted. As for Arshad Warsi, for some unknown reason, is super confident that his next film is going to be a hit! He tweeted, 'Off tomorrow :o)-DD shooting is going on really well-saw the promo of DD n it is OUTRAGEOUSLY HILARIOUS-DD will b my 4th hit in a row YAAA,' he wrote. Arjun Rampal enjoyed a 'boys day out' with friends Shah Rukh Khan and Hrithik Roshan and cheered for Kolkata Knight Riders from the stands. 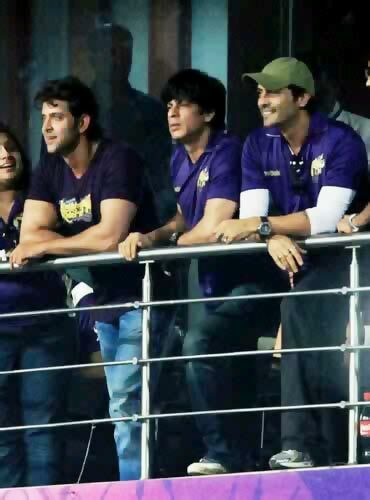 He tweeted, "3 knights at the Eden gardens, way to go KKR, super fun" and posted a pic too. Shirish Kunder seems only too willing to get his upcoming film Joker all the publicity it can get. How else would you explain him tweeting pics from the film almost ever day?Here's another exclusive picture. Meanwhile, Neil Nitin Mukesh shared a picture of himself and Bipasha Basu from Russia, where Players shoot is in progress. Sonam Kapoor, who is preparing for her Cannes appearance, is having the time of her life. She's busy trying different outfits for the event and enjoying ever bit of it. She tweeted, "Super excited to wear my best friend shehla k 's design today. Shelu your the best!' she updated. Meanwhile, Minissha Lamba is all set for her Cannes debut this Wednesday. 'Its done! My red carpet look for #Cannes is Final!' she tweeted. Now it remains to be seen who sizzles and who fizzles at the gala event!